Pushbullet has just introduced what it calls Pushbullet Pro, a new subscription plan that charges users for features that used to be free. From the 1st of December, users will have to cough out a fiver of they intend to keep using the universal copy and paste, device to device mirrored actions. Other features will still be available for free but capped. For instance, users who use Pushbullet to send and reply SMS, WhatsApp, KiK, Hangouts messages will find that they have been restricted to 100 messages per month or 4.99 per month if you need more. 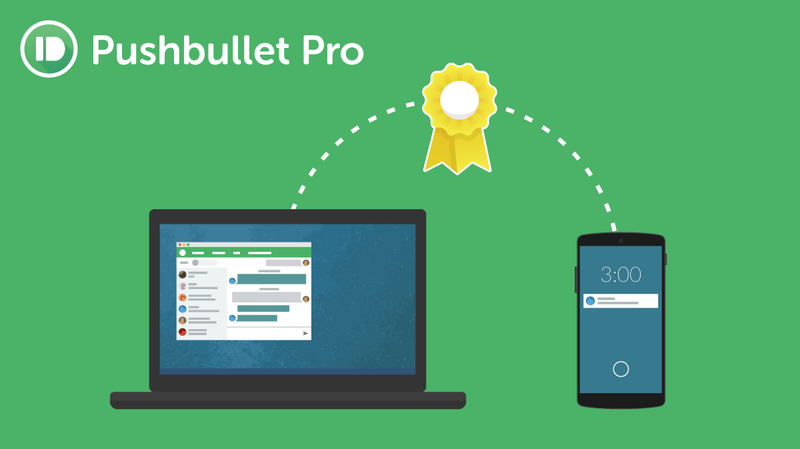 If you are an avid user of Pushbullet, you might want to pick the annual plan over the monthly plan. The annual plan which costs $39.99 translates to $3.33 per month instead of $5 and a savings of about $20 over a year.